​Several people have been detained at an anti-monarchy protest near Madrid’s heavily guarded central square following the coronation of Felipe VI as Spain's new king. 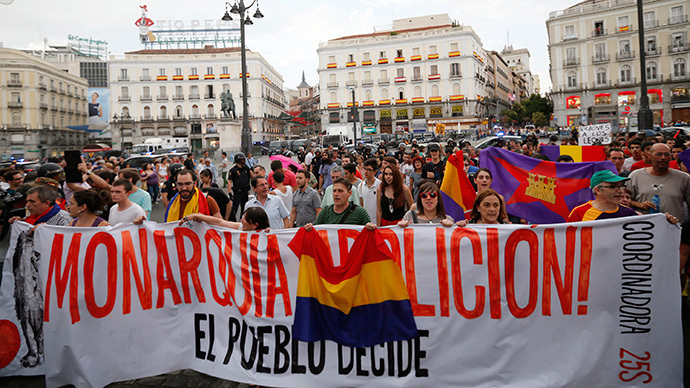 Despite the ban on republican protests by the Madrid authorities, up to 3,000 anti-monarchy activists flooded the area in central Madrid, EuropaPress reports. 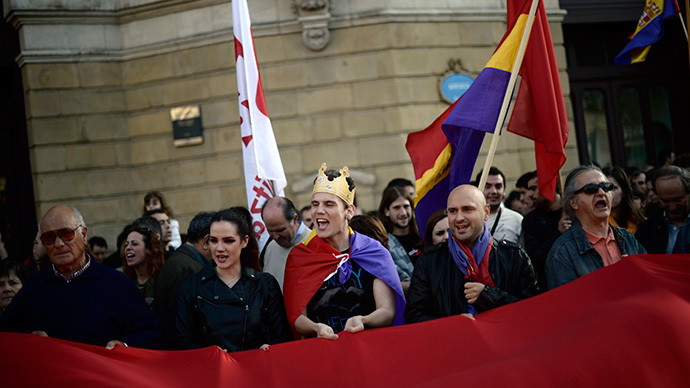 Waving the red, yellow and purple flags of Spain's second republic, protesters demanded the abolition of the monarchy. Police acted on several occasions, taking the baton to work to arrest at least 7 people, El Mundo reports. Several people were reportedly arrested for trying to pierce the police cordon. Some others, wearing clothes with anti-monarchy prints, were accused of resistance and disobedience, but were later released. Among those detained was Jorge Verstrynge, former secretary general of Alianza Popular party. Security throughout the day remained tight with around 7,000 riot police controlling the center of the capital with some 120 snipers keeping watch. Felipe VI was sworn in as Spain's new king at a ceremony not attended by his father King Carlos I. 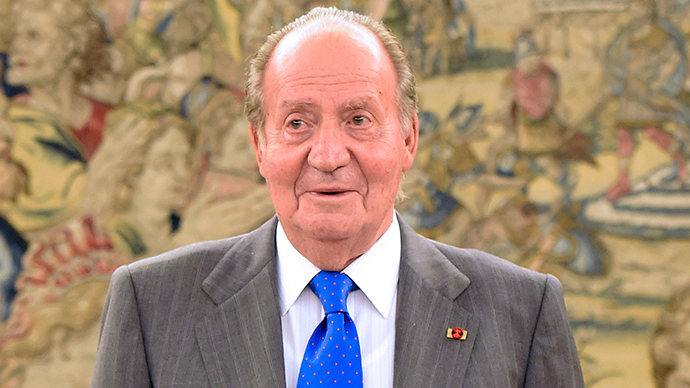 “There is room for all of us in a united and diverse Spain,” Felipe said in his coronation speech stressing the need to respect diverse cultures and languages of Spain. 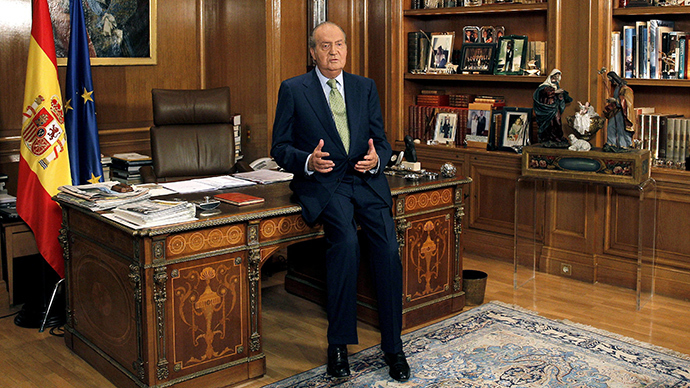 The new king ended a speech by saying "thank you" in Castilian Spanish, Basque, Catalan and Galician. 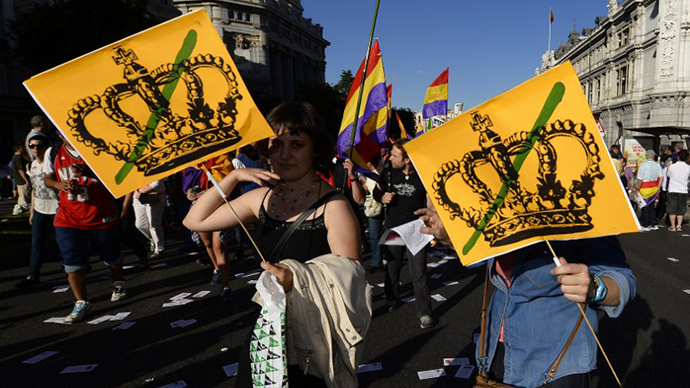 Despite the protests thousands of people lined the route of the new monarch, waving flags and shouting “long live the king.” Monarchists hope for a new era of popularity for the troubled royal family, which has been the subject of a series of corruption scandals as a recession pushed millions of Spaniards deeper into poverty.